Imagine training for the Olympics. I'm not exactly sure what the regimen for badminton is, but surely there is more to it than my occasional appearance at Body Pump (aka my current workout routine). 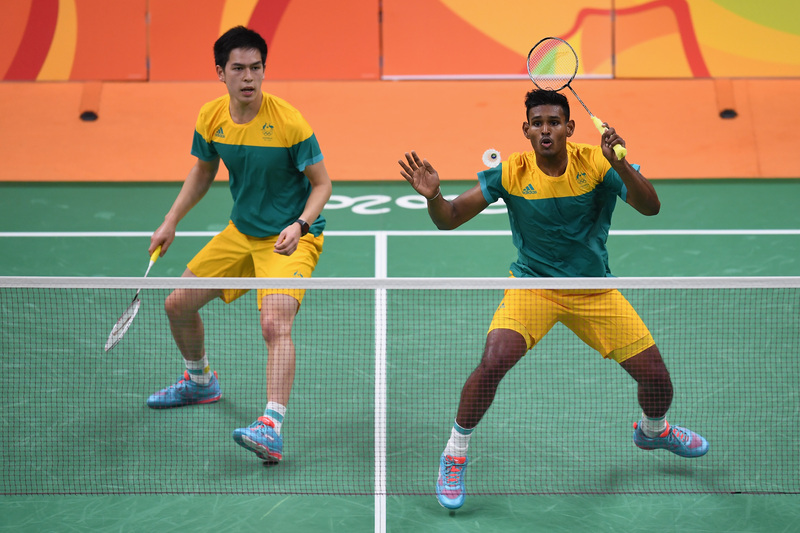 In any case, for Australian badminton player Sawan Serasinghe, on top of the workouts, practice sets, and gosh knows what else, there were "months of clean eating." But unfortunately for his team, it didn't result in a medal. He and partner Matthew Chau lost to South Korea's team on Saturday. Afterward, he showed us the only way for Serasinghe (or anyone) to celebrate a still-amazing Olympic performance: with loads of McDonald's. And I mean loads. Judging by the photo that Serasinghe uploaded to his Facebook page, there are at least six sandwiches, six orders of french fries, and four massive orders of chicken nuggets. Plus there's some sort of smoothie and a brownie. If that's not the most massive McDonald's feast you've ever seen, well... I'm impressed. Also, in some sort of ironic juxtaposition, Serasinghe has his T-shirt raised to show off his badminton abs. Wow what a week it has been in Rio! Have to say I am disappointed about the match today. We definitely had a good chance to stretch the match to three sets towards the end of the second set but couldn't close it out. We would have loved to end our first Olympic campaign with a win against a much higher ranked pair. At one point, Michael Phelps claimed to be eating around 12,000 calories before the Beijing games (although he later admitted this might have been a bit of an exaggeration). He tends to go with pasta. After winning gold this time in the 4x100 freestyle, he said, "I think I had a pound of spaghetti, and I am not a spaghetti fan. I forced myself to eat it." If only McDonald's served spaghetti, Serasinghe could have given him a run for his money.